Last month, the Norway police arrested five hackers accused of running the MegalodonHTTP Remote Access Trojan (RAT). The arrests came as part of the joint operation between Norway’s Kripos National Criminal Investigation Service and Europol, codenamed "OP Falling sTAR." "Damballa's threat discovery center worked in cooperation with the Norway police over the last few months to track and identify the author of the malware dubbed MegalodonHTTP," threat researcher Loucif Kharouni wrote in a blog post. 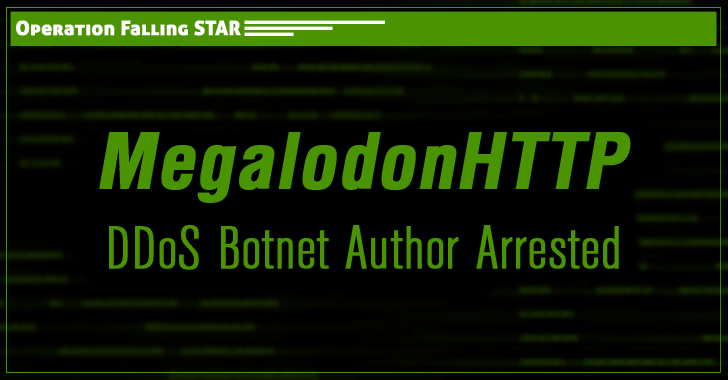 "We are not at liberty to divulge the MegalodonHTTP author’s real identity, but we can confirm that the person behind the handle Bin4ry is no longer active or doing business." However, the researchers said MegalodonHTTP was not very powerful; in fact, it was "quite simple" and indicated the poor coding skills of its author, requiring .NET to be installed on infected systems. However, MegalodonHTTP is not an advanced malware, according to the researchers, and its author wanted to develop modular malware with a number of malicious features, but remained "as small as possible, around 20Kb." This malware was sold on amateur hacker hangout HackForum as well as on the bin4ry[dot]com website. In fact, before his arrest last month, the hacker was still selling the malware.